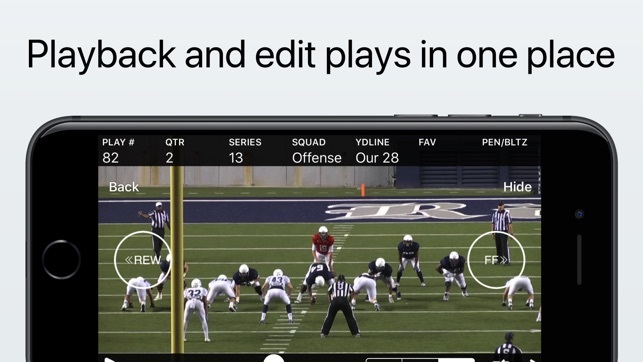 SkyCoach is instant sideline replay that gives football coaches the tools they need to win. Our system is designed for flexibility allowing you to record with or without internet access. Our No Internet Kit packs up easily to take on the road. Setup is easy and the wireless coverage is guaranteed the best in the industry. 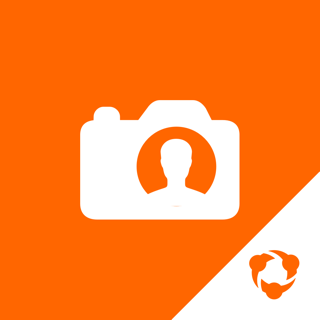 With SkyCoach you can record from iPhones, iPads, and existing cameras using our Existing Camera Kit. The devices are synced across the network so pressing record on one starts them all. 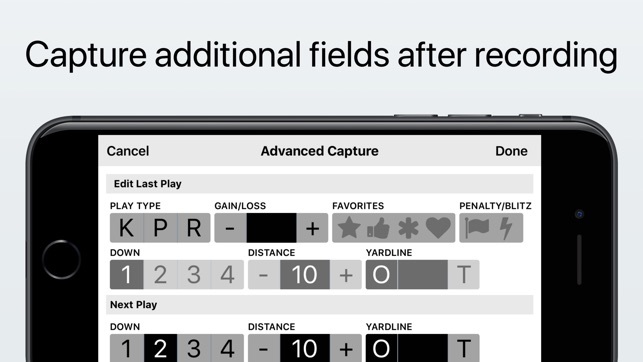 One person can record multiple angles and tag plays with ODK, Down, Distance, Yardline, Gain/Loss and more! 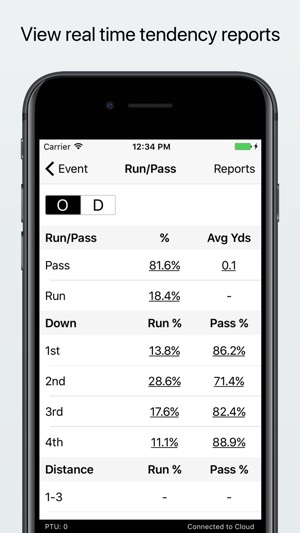 Our reporting features include run/pass/blitz tendencies and filterable gain/loss reports. Want to know what down their defense is blitzing you on? Let our reports handle that for you! 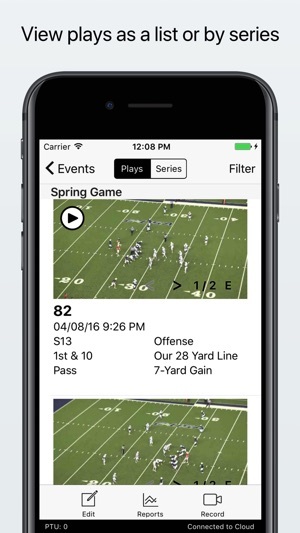 View plays in a list showing a preview and play tags or break plays down by series, offense/defense, run/pass, etc. We give you the flexibility you need to quickly find what you're looking for. Filter plays on the advanced capture fields you captured during recording. 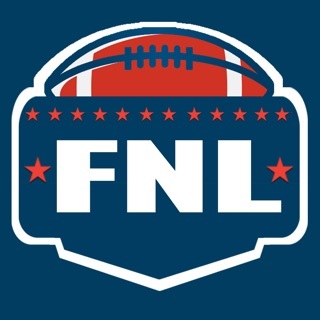 Want to see all the defensive plays where your team allowed more than 5 yards? We have you covered! Our comprehensive playback controls let you control playback speed, zoom, TELESTRATION and more! Need to make a change to the play tagging? 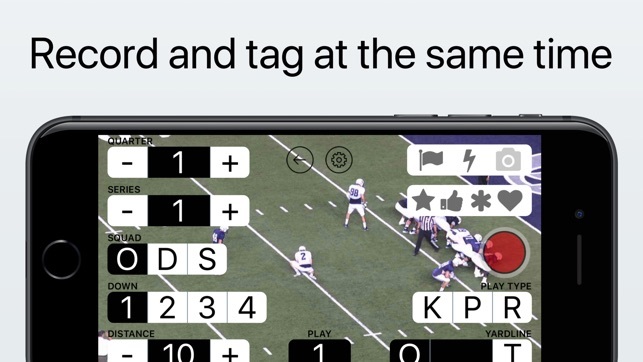 Quickly edit plays with our fast, finger-friendly controls! Our support is always just a phone call away, but we also give you tools to troubleshoot your setup. Did you leave your device on the school's WiFi? Our system will let you know!